A couple of weeks ago I got something up for people who are moving to Pittsburgh. After that post went live, I got a bunch of reader requests for a Pittsburgh Tourist guide. Knowing me, you know it had to include ways to save money! 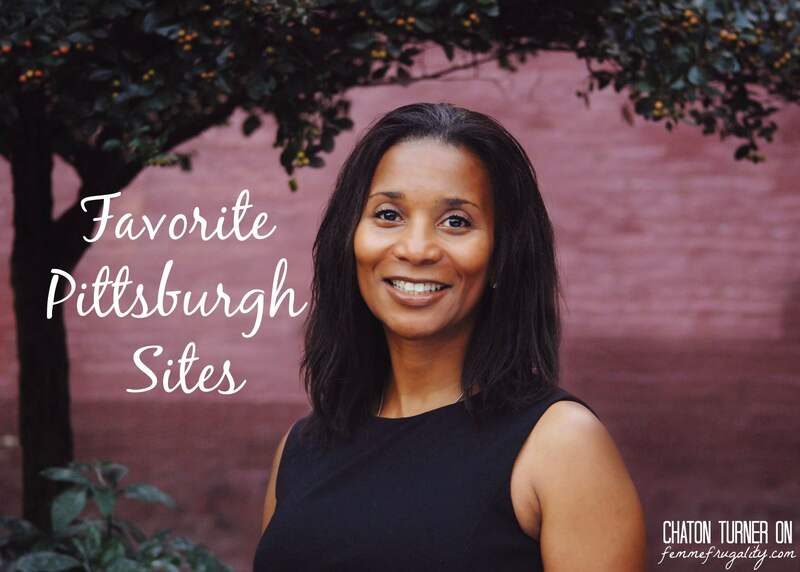 I reached out to some of my fellow Pittsburgh bloggers, and we’ve put together this pretty comprehensive series about all the great things to do when you visit our city. We’ve got so much information, this is going to be a multi-part post series! Check back on Monday for even more ideas of what to do when you come to visit our beautiful city. If you’re coming to Pittsburgh, you need to see the inclines of Mt. Washington. There are two of them, and they date back to the 1870s. There used to be 15+, but as the need for this type of transportation up the mountain ebbed, more and more were shut down. The Monongahela Incline is actually older, dating to the year 1870. It’s the oldest surviving in operation in the country, actually. This one is a bit cheaper to ride, and is regularly used as public transportation by city residents. At the bottom, you can go to Station Square (a shopping center, and, at night, a night life scene,) catch the T (our rail system that runs through the city into the southern suburbs,) or walk across the Smithfield Street Bridge into downtown. At the top is Mt. Washington, a neighborhood that boasts some of the best city views in the world. There are overlooks to take it all in, and a small shopping district on Shiloh Street right at the top. When I say shopping, I mostly mean food. There’s an ice cream shop, bakery, beer/hot dog shop, the Shiloh Grill, Redbeard’s and a couple other places to grab some eats. At night there are a few neighborhood bars, too, mostly all located on this street. If you want to do the inclines on a budget, the Mon Incline is definitely the way to go. One mile down Grandview Ave., the touristy main drag, there’s the Duquesne Incline. It’s actually a few years younger, built in 1877, but it’s not as widely used as transport. It was in threat of being shut down at one point, so an organization stepped in and maintains it. (Both inclines are National Historic Places.) It’s more of a tourist thing. The bottom empties into a parking lot with a much longer hike to the other end of Station Square. You could walk across the Ft. Pitt Bridge to The Point, but the initial trek along 376 to do so can be treacherous, especially if you have kids in tow. The cost to ride is higher, too. But you’re rewarded with what I would argue are even better views at the top. After you pass through the gift shop (something the other incline doesn’t have,) turn right on Grandview and walk a block up the hill to the statue of my man George Washington and Guyasuta. You have a head-on view of the city and our three rivers; it’s absolutely breathtaking. There’s also a trail to hike there as it’s a part of Emerald View Park. Other entertainment at the top is really only high-end restaurants. They’re FANTASTIC, are incredibly romantic, and all have out-of-this-world views, but are going to cost you a pretty penny. A good way to save is to go at lunch time. The Coal Hill Steakhouse offers relatively affordable fare at this time (think ~$20-ish a meal.) As far as I’m aware they’re the only one that still offers lunch options. You can’t take kids under six there, though, and kids under ten aren’t allowed on the patio. Visiting the Point is a great thing to do with first time visitors to Pittsburgh. 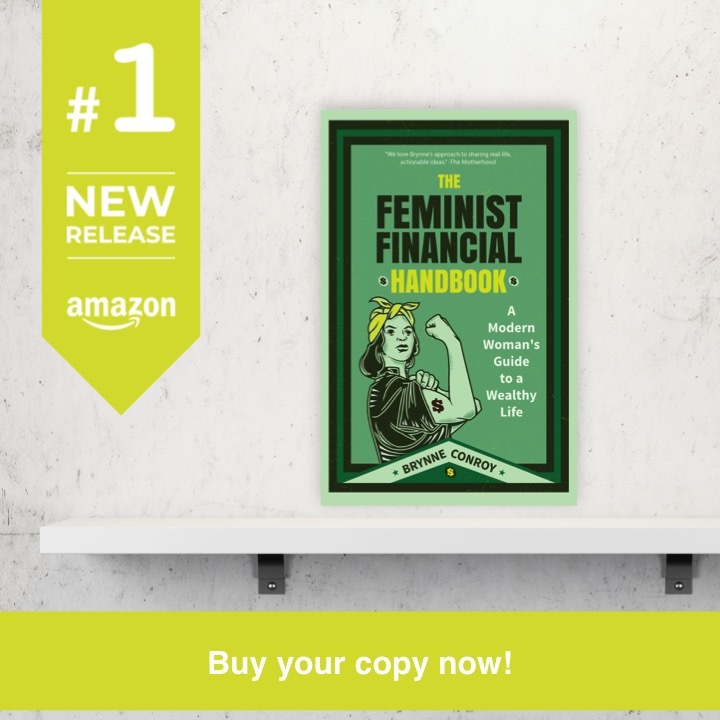 It’s free and AMAZING! It’s almost like we have a great big geyser in the middle of downtown. You have to see it to believe it. You can grab an ice cream at Dream Cream Ice Cream downtown and walk to the Point. It’s a great way to kill a couple of hours and it’s family friendly! The Water Steps in the North Shore Riverfront Park: I actually had one of my first dates with my now-husband here! It’s great for a little romantic time, or fun with the kids! The Point: the gorgeous fountain and its surrounding walking/running/biking trails make for a stunning photo opp, but more importantly, a beautifully relaxing way to spend an afternoon. Rent a kayak or enjoy the green space and a picnic. Whatever you choose, you won’t be disappointed: nestled away from the hustle and bustle, the Point is sure to please everyone! The water fountain in Station Square dances to music and lights at night, and beckons to visitors during the day. Cool off the mist, grab a bite to eat at one of the many surrounding restaurants and bars, or do some shopping in nearby shops and boutiques. The great thing about each of these water features is they are all FREE! If you’re visiting on a hot summer’s day, you don’t want to miss Pittsburgh’s water! As a Mom of three boys and currently two months away from my DIY wedding, I am always looking for the best deals, now more than ever! 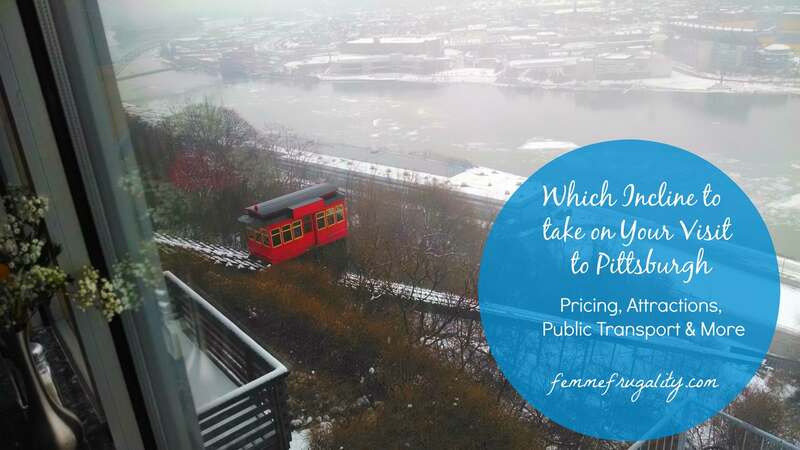 Pittsburgh, unlike most big cities, is one of the most affordable and family friendly around if you are on a budget. Pittsburgh offers free movies in the park, free days at the Carnegie Museums and not to mention the numerous free festivals Pittsburgh has every summer, did someone say Picklefest? My favorite frugal thing to do is go to PNC Park and see a baseball game. In any other city going to a baseball game could get pricey but in Pittsburgh, if you follow my tips and tricks, you can get away with going to a game on the cheap and score some free stuff! So how do I do it? The first thing is parking, this is always the most expensive part of my trips to Pirates games, my tip is get to the game early and park in a parking garage for $9-12. The next way to score free swag is to register for a Pirates Rally Pass, also free, you will get a Rally Pass Card and having your card earns you a free spin on the prize wheel, again the prizes range from free tickets to simple things like tote bags and magnets. You can spin for free stuff every time you go to a game and once a month online. The last way to score free souvenirs is to sign up at booths they have at every game, I got a really nice Pirates drawstring backpack just for signing up for free at a car dealers tent. They sent me one thing in the mail and left me alone. I use my backpack all the time now! You can also go to the games on free shirt Friday (tickets are more expensive these days usually) and you can always save your program too! Always wear layers and bring a poncho or umbrella, Pittsburgh sometimes goes through all four seasons in one game so be prepared. 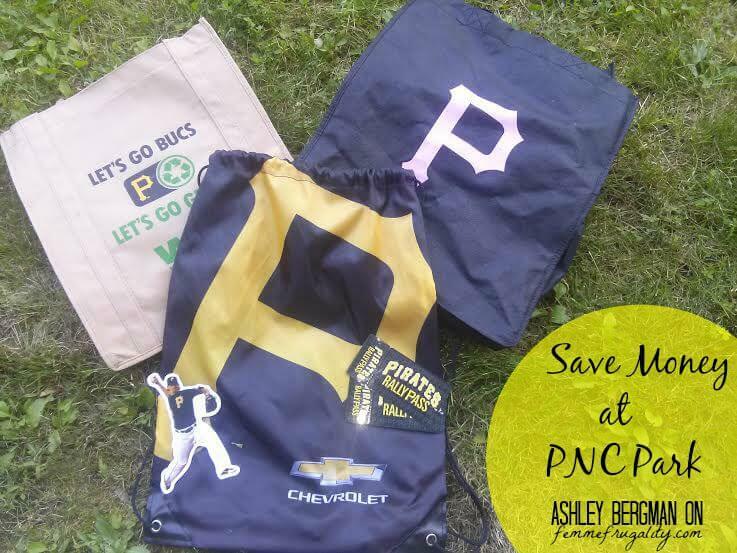 For more ways to save at PNC Park check their website for promotional deals and their schedule of special events and for more free events and ways to save visit me on Twitter @AshleyParkAve! That’s it for this first edition, but don’t worry; we have more coming your way Monday from other great area bloggers! Also, be sure to check out our Pittsburgh Love Pinterest board for more fun ideas and general Pittsburgh-ness. If you’re a Pittsburgh-area blogger who has some more ideas for our guide, don’t hesitate to contact me to contribute! 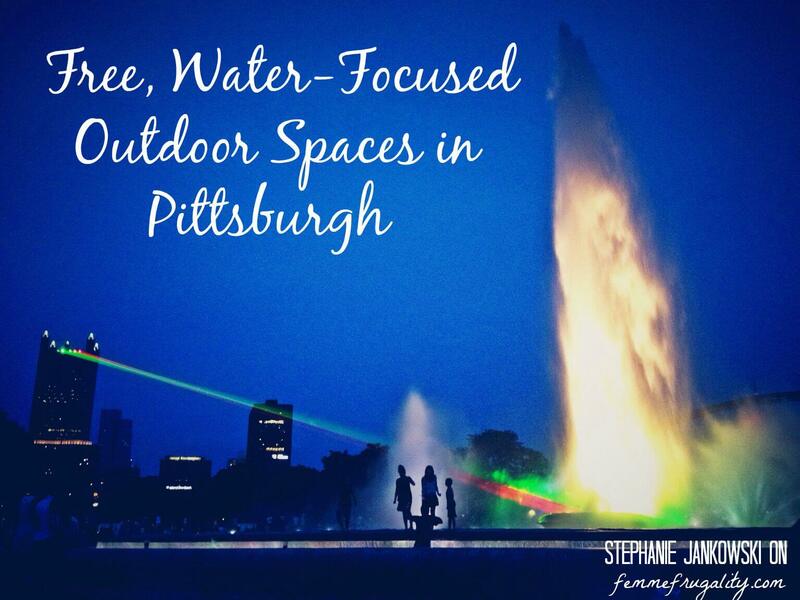 This entry was posted in Pittsburgh, travel on July 31, 2015 by femmefrugality. Great tips! I visited Pittsburgh last year and had a great time. We did a Duck Tour which wasn’t super frugal but was a great way to see the city! You beat us to it! That’s one of the tips on Monday. 🙂 My husband did one of those, and he’s lived here his whole life. He learned so much and had such a great time. Well worth the money in his opinion! I think so, too! You all have awesome tips!!! Thanks, now I just have to remember to find this post when I visit Pittsburgh. I’ll need a list of the best(not fancy) restaurants to try too. A couple months ago I visited Dubuque, IA and went on their trolley up the hill. I guess it’s the shortest steepest trolley in America. At the top you get a gorgeous view of the city and the Mississippi river. I know Dubuque is much smaller, but I’m a small town boy, seemed like a good size to me :).The inclines of Mt. Washington look taller and longer(looks just as steep to me too). For my job, I’ve worked on Chicago’s Buckingham Fountain a couple of times, It was pretty cool to get an insiders view of everything. Pin it! That way it’s never lost. 🙂 Hope you can make it out here someday… It’s a great city! They’re pretty darn steep and pretty long, but they’re the only ones I’ve ever been on to be honest. Saw one on the Canadian side of Niagara Falls that appeared to be a lot shorter. But that’s my only perspective on that lol. Smaller cities can be cool, too; many people consider us to be one. Think we’re a bit bigger than Dubuque, though. That sounds like a pretty cool job. How’d you get into that? Love this, Pittsburgh is definitely on my list of cities I want to see more of. Woot! Hope you’ll be back Monday, then! We’ll have more tips… some for families, but even more for those without children. Great article. I am slightly disappionted to read this article today. I wished I had seen it when we visited Pittsburgh last year. It would have made our trip even more fun and adventurous. This is a great idea – I’ll be bookmarking this in case I ever get the chance to see Pittsburgh! I hope you do, Hayley! It’s oft overlooked, I feel like, but has a lot to offer. I love incline planes! The longest one in the world is actually somewhere in Pennsylvania by an old coal mining town. That sounds like it’s probably not too far away! Sounds like a great place to visit ..you listed some fun things to do cheaply. Makes me want to plan a visit soon! The Pickle Festival looks awesome.I have never heard of it but looks like it draws large crowds and with my recent interest in pickling ….Pittsburgh sounds like an interesting city to visit. We’re home to Heinz, so you know we went there. 🙂 It was a new thing this year I’m pretty sure, or maybe it was year 2. But pretty darn cool. This is awesome! Thanks so much for sharing. Trying to get a trip to Pittsburgh on the cal for 2015!